Pearl Jam had a new album coming out. How can we connect with fans around the new album and give them a mobile fan experience? 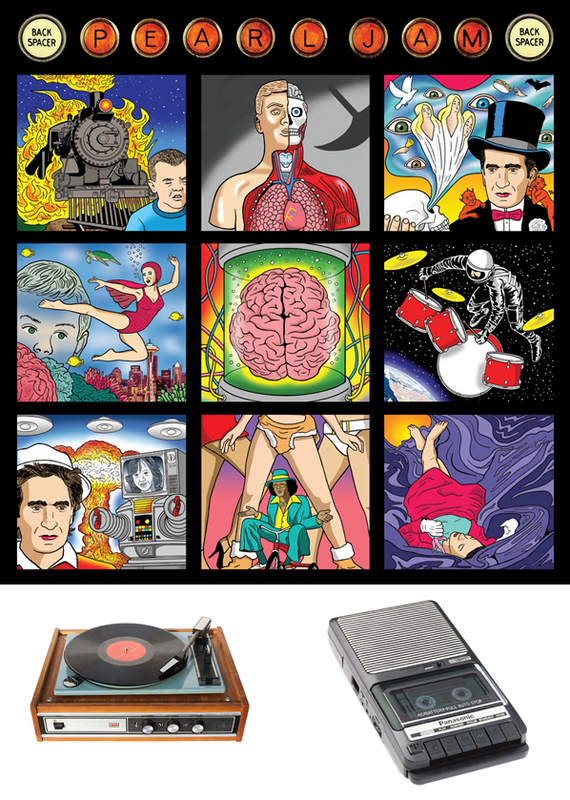 Pearl Jam’s new album was called Backspacer and featured artwork on the cover by Tom Tomorrow. The grid of nine images immediately jumped out at me as great potential screens for the app. Each grid piece would work as an individual screen for each section of the app. Pearl Jam had what you might describe as a very “analog” vibe about them. Despite being an app on an iPhone, I wanted to bring in analog elements. I had a Flash audio player on the web site that mimiced an analog cassette tape player. I wanted to do something similar in the app, but this time the music player could be a vinyl record player. I’d never seen anything like that before and I thought it would be fun. 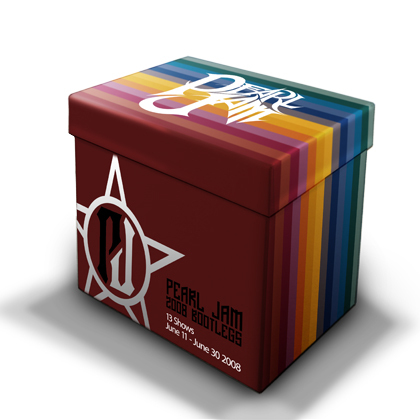 We broke down the Pearl Jam website and decided what needed to be in the app. 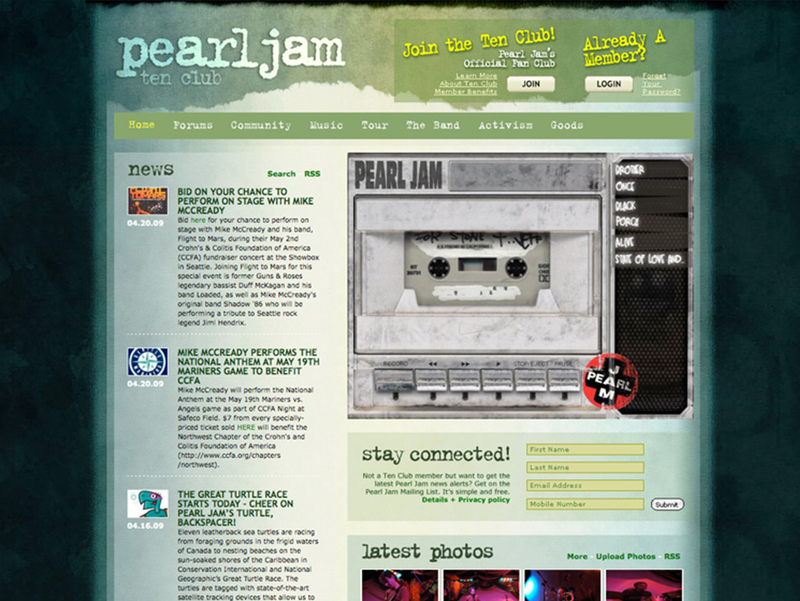 It would function as a site on the go for the members of Pearl Jam’s Ten Club. This was 2009, before the mobile web had really taken off. So giving the members access to the club on their phone was something that appealed to them. We also came up with a list of potential app-specific features to present to the band. Included in this list were the music player I mentioned earlier using a record player interface, digital lighters to wave at concerts, friend finders in the concert venues, a Pearl Jam karaoke feature, and more. 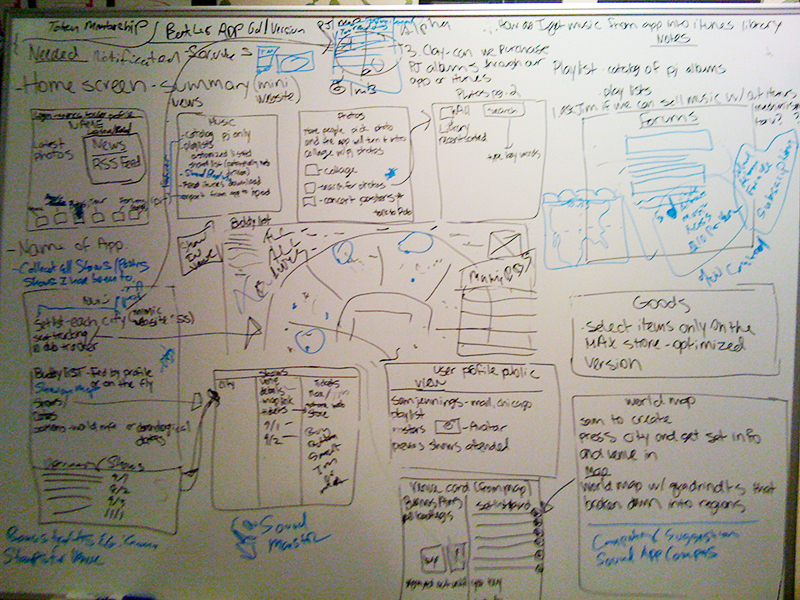 All of this was put up on a white board and plotted out. Once we narrowed it down to a workable app flow, we put together a presentation with our ideas and options to present to the band. 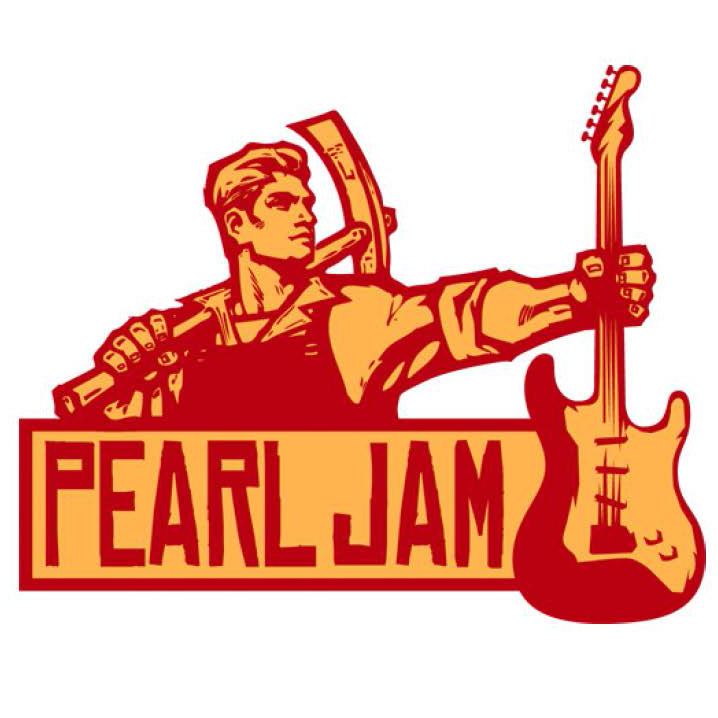 Pearl Jam approved what they liked and we went about mapping the app. We did not do a lot of sketching on this project because we had all agreed that the Backspacer artwork was perfect for the menu screens. It was really just a matter of how I would apply the UX to it in the app, which I would flesh out in Photoshop once we settled on everything. We decided on 4 main sections – Music, Tour, Community and Goods. I mapped out what would be in each section and presented it to the band and management. We went back and forth on what the content would finally be. As I mentioned, there was a lot we were pulling from the member website to give the fans a way to connect to the site while out of their house. 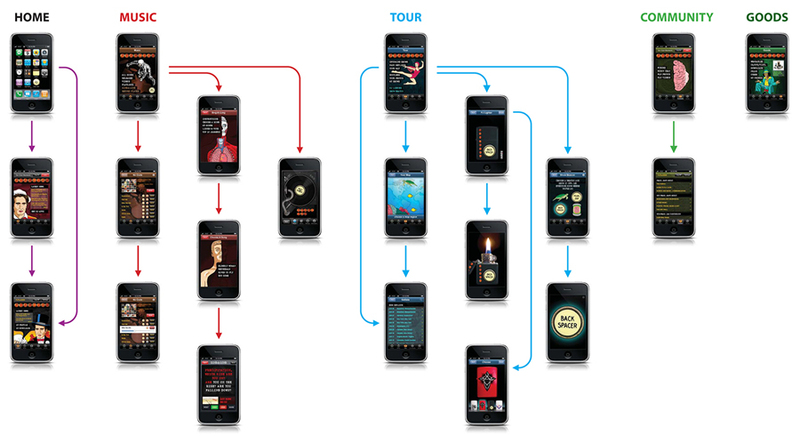 Once I had the screens developed and the roadmap established, I walked through the app with the band to make it clear what was going to happen. I did not build out a prototype at this time, but normally that would be a big step in the process. For the final screens, I chose to cut out the main cartoon element from each square image and overlay a solid color on the background. This helped reduce the visual noise and allow the menus to pop more. It also gave me and opportunity to have the cartoon elements animated and move across the screen in a subtle way. This gave it a little more pop and fun.  I gave my screens to the app developers and worked closely with their team to make sure the final app came out as we had specified. I was able to get beta versions on to phones to get final approval before pushing to the app store. The vinyl music player made it in to the app and provided a unique way for fans to listen to songs. The record needle moved as the song played, and you could hold your finger down on the record and start and stop the music. As big advocates for buying vinyl records, this interface was definitely on brand for Pearl Jam. 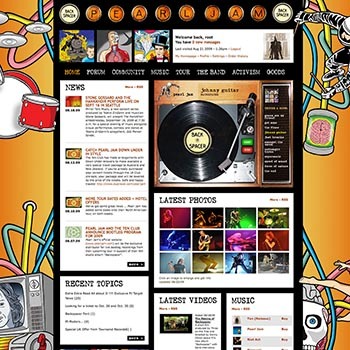 The app was released in conjunction with the Backspacer CD in September 2009. 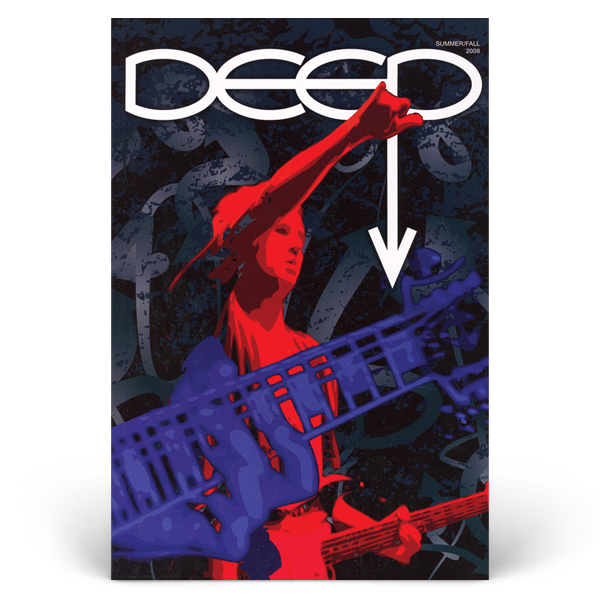 Fans response was overwhelmingly positive as it really carried the brand and energy of Pearl Jam in to the mobile space.